Calling all Cricut fans! I am so excited to be able to introduce you all to Shari from Grand Forks, North Dakota this week. 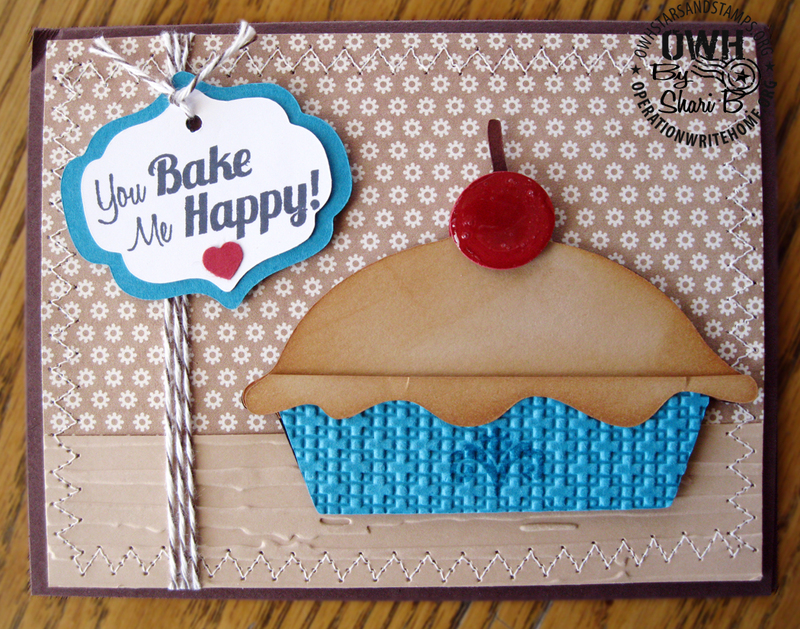 Shari has such a fun, whimsical style and I know that you are going to enjoy seeing her truly creative cards. Of course you can leave a comment for her here but she has recently started blogging at Create, Inspire & Amuse and took part in the 2011 Year End Hop so I know you’ll also want to go have another look at her “Best of 2011” post to see more of her terrific work. How long have you been stamping? I attended my first Stampin’ Up! party in 1998, and have been hooked on card making ever since. I am blessed to have a room dedicated to crafting where I can spread out my mess and close the door when I’m done! This past year I invested in a Cricut and I’ve especially enjoyed making kid’s cards with the Create a Critter cartridge. The sentiment stamps from scrappymoms.blogspot.com coordinate really well with shapes from my Cricut cartridges. I like to do a LOT of layering, and to add texture to my cards, I emboss things in my Cuttlebug whenever possible! My favorite card designs have a strong focal point, interesting color combination, some texture, and a bit of shine/sparkle. I tend to seek out pretty patterned papers for color inspiration, and my favorite colors are blues and greens. I ran across a link to the OWH website from a stamping blog, and was really impressed with the detailed information and resources available. Our service members and their families make huge sacrifices for our safety and freedom. Knowing my cards might help brighten their day is very motivating! Making cards for OWH is also a great opportunity to experiment with different themes and designs I normally wouldn’t make. Plus…the OWH community is great! A big “THANK YOU” for daily doses of fun and inspiration via your blog posts, Facebook posts and OWH TV. What an awesome group of talented and caring individuals! Your cards are wonderful, Shari! I like all of them but the last one is super sweet. Love that typewriter image! Outstanding cards! 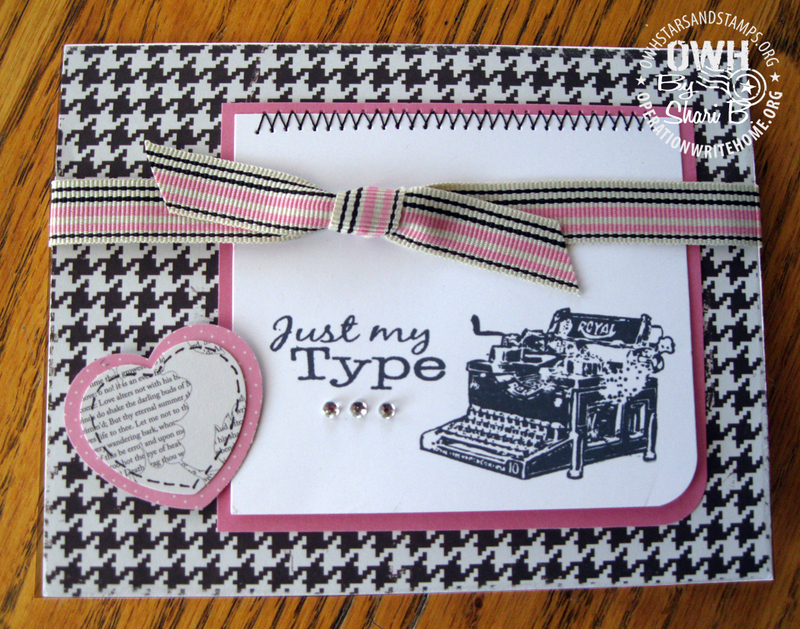 The typewriter card stands out because everything is so perfectly coordinated…esp the ribbon! Thanks for sharing your talents! Shari, your cards are fabulous! You do such a great job with combining textures and layers! Loved seeing so many of your cards! Such fun cards – great use of textures and patterns. Love those bright and cheery colors! Thanks for sharing your story with us. Love you work. The typewriter card is my favorite! Love the colors and layout. Pat K.
Oh, these cards are absolutely adorable! 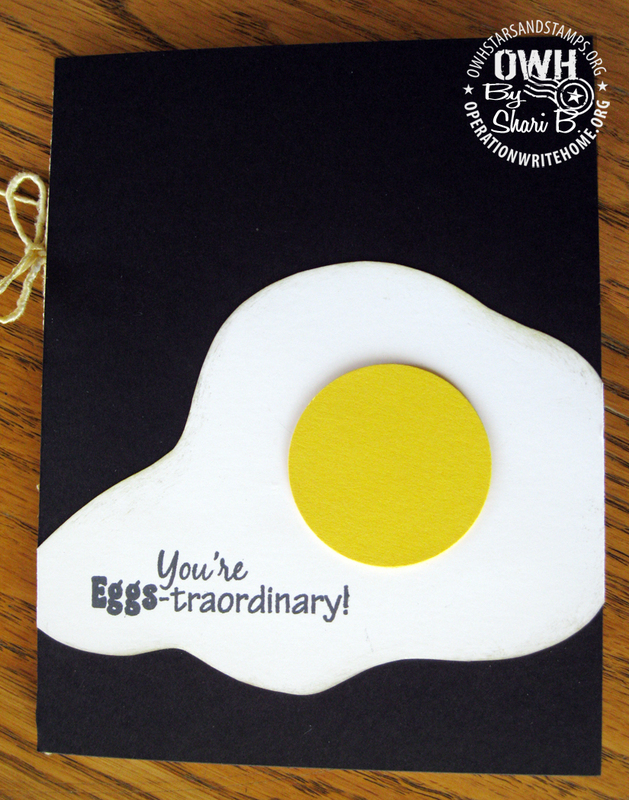 Love the pie card and the egg cards – awesome construction and love the punny sentiments! 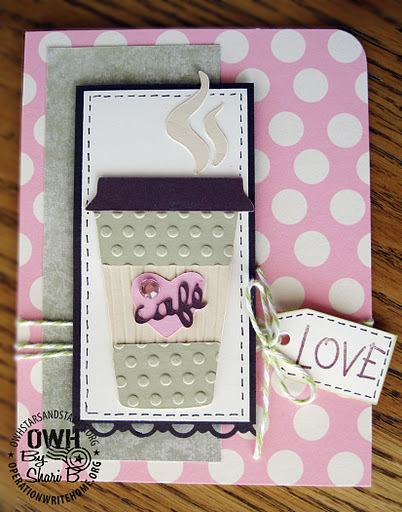 Shari, I just love the fun, whimsical style of these cards. Such great sentiments and all the color and texture and detail really makes each one special. You've really mastered using your Cricut die cuts to make wonderful cards and you make me really wish I had one too. :)Thanks for letting me share your cards with everyone this week! Your cards are great and I love all of them. The pie is my favorite. You make me want to get my Cricut out and start crafting right now!!! Such darling cards! I especially like the textured coffee cup. Your cards are lovely, I too love to try various techniques, embossing and creating with beautiful paper. Cricut is a great addition to the craft room. You have an eye for color and the wow card. I am now a follower on your blog. Congratulations on being the featured card maker — Your cards are fun — I do like how you texture and layer your cards. Thanks for supporting OWH. Shari, so much fun to see your wonderful cards! I always love typewriter images but your sunny side up egg and pie with a cherry on top make me smile! Thanks for sharing!